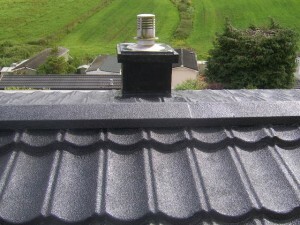 Unfortunately, this roof had been penetrated by numerous fixing plates during its installation, and over time these were providing many routes for water into the structure. 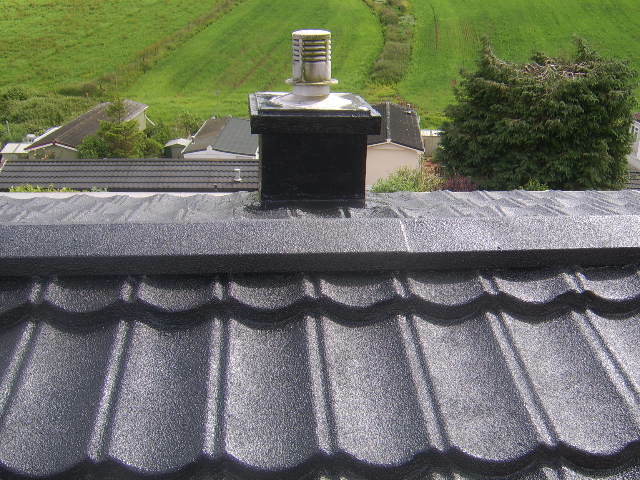 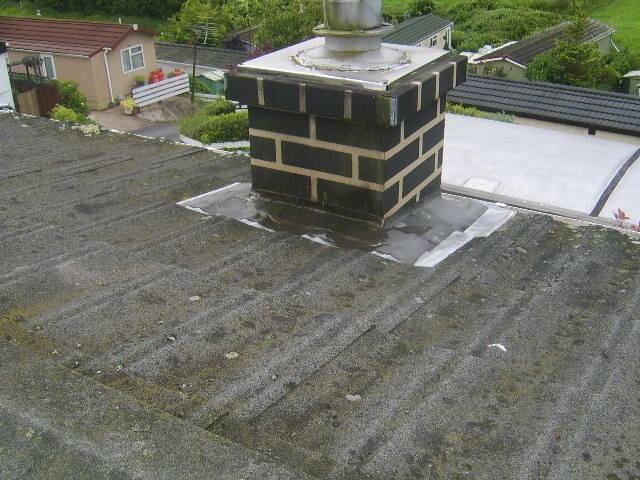 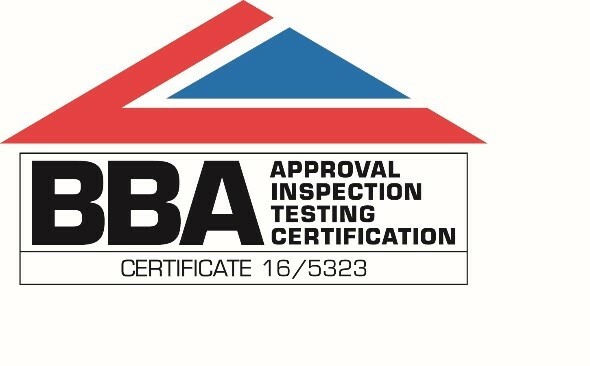 The roofs integrity was further challenged by a difficult roof detail around the chimney, and the previous waterproofing solutions to address this had failed. 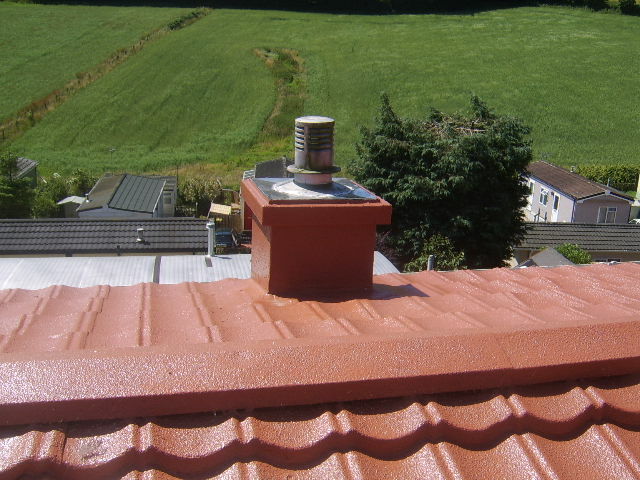 As the roof was pitched, the re-inforcing matt was not required, but the benefit of the cold applied liquid system meant that reinforcing and detailing around the chimney was easily achieved. 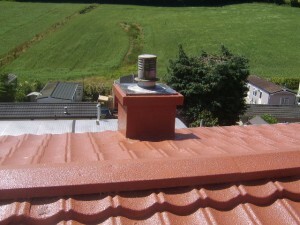 Finally the UV stable seal coat was applied in “terracotta” colour. 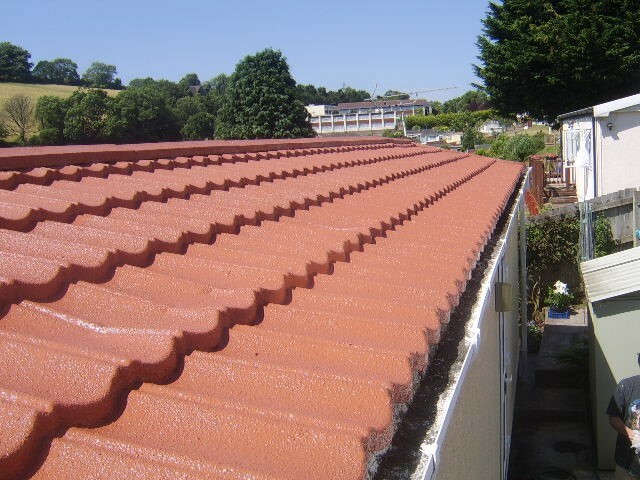 The customer had a water tight roof for the first time in years and the terracotta colour gave a sympathetic appearance compared to the surrounding holiday homes. Another satisfied client.